Imagine yourself in your house getting ready to move to another country, either for good or for six months, and you have to move your possessions into storage while you’re gone. George Carlin knew his stuff. Or maybe you have come across the classic Buddhist parable of the monk and the prince, which is also about stuff. One day the prince asks the monk to his opulent estate with its palace full of exquisite art and intricately-woven tapestries. Who says Buddhists don’t have a sense of humor. Now you are packing for Mexico and you have some decisions to make. Most of the time, expats end up posting on-line comments about how they wished they hadn't carried so much. The furnishings don't fit their new circumstances. It wasn't worth it. That especially applies to cars. Personal items are duty-free, but only one time. Electrical appliances like your bread maker and cappuccino machine have a duty limit of how much you can declare. Taxes apply after the limit. What is the limit? If it’s like everything else in Mexico, it depends on what kind of day Immigration is having. Some say hitting the border before they have their first cup of coffee helps. If you are coming with more stuff than you can carry in your car, you will need to contract a Mexican moving company to meet you at the border to carry what you can’t to your destination. If you are coming and going part-time and rent your home out, you will need to pay for storage for your stuff left at home. You cannot leave a tenant with your stuff. That person has paid to only look at their stuff. If you are planning a permanent two-country lifestyle, you will have ongoing re- prioritizing and constant re-packing of things each time you leave or return. You will soon tire of this because in reality you haven't used those roller blades in five years. Nothing notifies you of how much stuff you have like having to re-pack it every 6-8 months. The American Dream has changed in how it defines itself in material terms over the decades. At the point where people earned enough income to do more than just feed themselves, sociologists wrote articles about that in coming years everyone would be working a utopian 30-hour week. Why didn’t that happen? Because our material cravings increased faster than our incomes, increasing our need to work even more. In Mexico, I have never had a dishwasher. In America I can't live without one. In the first winnowing down of material goods needed for part-time expat life, sorting through your stuff is especially bittersweet. I examined my attachment to the Specialized bike bag I won as first prize in a mountain bike race. I ran my fingers over the silver-studded dress I was wearing the night I met my ex-husband and traced the edges of the skis I used as a ski instructor in West Virginia. Your stuff tells your story. Would you draw the line with a 1920’s dressing table, the table where you spent many nights preparing for your best nights. Those are the decisions my expat friends have made. They aren't easy. I am ridiculously sentimental. If not for this lifestyle, I’m sure I’d be a hoarder. Of the boxes I have in storage, half of them are filled with restuarant matchbooks and letters I wrote to my mother when I was 21 and studying in Europe. Those are the things I plan to rub in my room in the old folks home. In Tim O’Brien’s book, “The Things They Carried,” a famous book of short stories by a Vietnam vet, what soldiers carried defined them. One soldier wore his girlfriend’s pantyhose around his neck for good luck. Others carried things defined by their role in the war, like a two-pound poncho or a compass. What would the contents of your purse or overnight bag say about your life? What would you bring with you to new country? What would you grab from the burning fire? I think they were on to something. Something about stuff and their freedom from stuff. “ In the end, all we have is our stories.” They are like stars that we flick out into the universe as if from the tips of our fingers. They establish that we existed before they too will one day dissolve into nothingness - just like our stuff. George Carlin talks about his stuff and he nails it - YouTube video of one of his best skits. Just beginning your journey toward the minimalism required for a real two-country lifestyle? These two writers of the blog, Theminimalists.com have helped 20 million people live more meaningful lives with less. Stuff we don't need is central to the manifesto for this quirky, cerebral and infinitely useful blog, Early Retirement Extreme by Jacob Lund Fisker. Next up: What does food cost in Mexico? Hola - My name is Kerry Baker and I am a partner with Ventanas Mexico, which provides insight and resources to those considering expat life in Mexico. 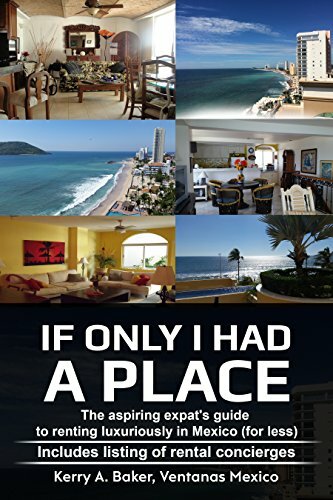 I have written two books, most recently, "If Only I Had a Place," on renting luxuriously for less in Mexico. Know the advantages and pitfalls of renting in Mexico as a expat. 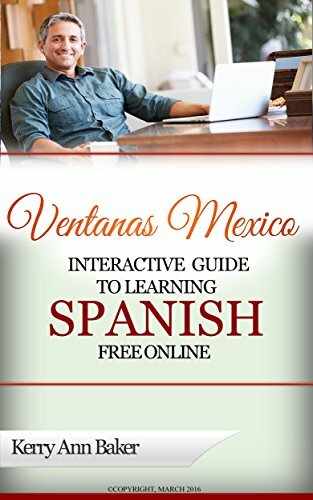 I am also the passionate author of the "Interactive Guide to Learning Spanish Free Online," a curation of the best Spanish language tools on the web. Don't get caught up in Google's web where the best tools are buried under the expensive, SEO (search engine optimization) friendly ones. The Guide takes you to directly to the hidden gems in free language learning. Use my lesson plans, or create a new one yourself every day from the hundreds provided in The Guide.